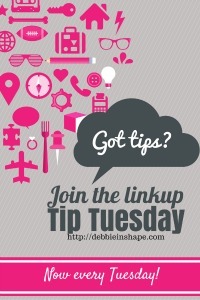 Welcome to Tip Tuesday Linkup Party #4! 2015 Top Party Award – top 10 recognition. Thanks for everyone who voted for Tip Tuesday! I would like to invite everyone to stop by Kath’s post if you have not done it yet. Would you like to be part of our top 3 (coming up next week)?